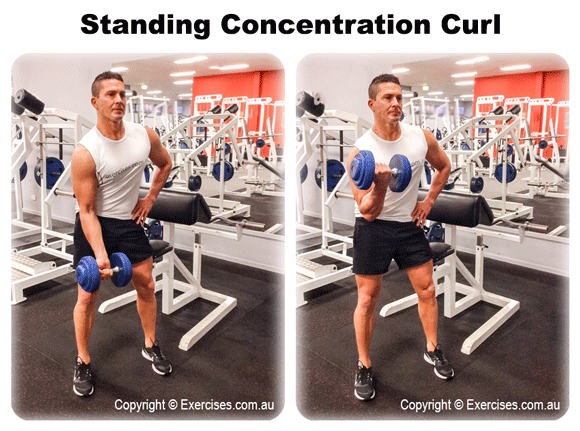 Standing Concentration Curl is an effective exercise for isolating the biceps. It also works the forearms and because of the standing position and engages the core to maintain stability and support for the lower back. Standing Dumbbell Curl is a safe way to work the biceps because the elbow is braced therefore preventing unnecessary movement that could lead to injury. Grab a dumbbell and brace against a part of your body that feels comfortable and stable. You can brace the dumbbell against the side of your hip or the inner thigh. 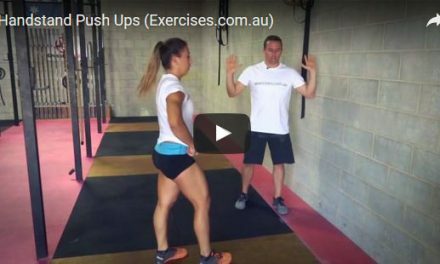 Assume a shoulder width stance and bend the knees. Keep a slight bend in the elbow. If you are bracing the dumbbell at the inner thigh, bend at the trunk but keep an arch at your lower back. With your palm facing up, curl the dumbbell up toward your shoulder. Hold the top position for a count of “one”. Once you have completed the targeted number of reps on one arm, switch and repeat the exercise on the other arm. Perform the exact number of reps. Maintain a slight bend on the elbow when curling the dumbbell as this reduces unnecessary strain on the elbow and the biceps tendons. At the top position, contract the biceps as hard as you can by gripping the dumbbell tightly. Do not use momentum to curl the weight. 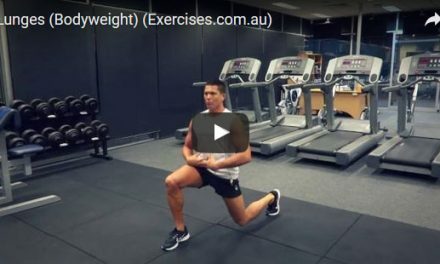 NextWhat Exercises Are Best For Fast Muscle Gains?